Question #64: What is the propitiation of Jesus Christ? How can man escape the wrath of God? The key answer is in the propitiation of Christ! “God judgeth the righteous, And God is angry with the wicked every day” (Ps 7:11). “But now the righteousness of God without the law is manifested, being witnessed by the law and the prophets; 22 Even the righteousness of God which is by faith of Jesus Christ unto all and upon all them that believe: for there is no difference: 23 For all have sinned, and come short of the glory of God; 24 Being justified freely by his grace through the redemption that is in Christ Jesus: 25 Whom God hath set forth to be a propitiation through faith in his blood, to declare his righteousness for the remission of sins that are past, through the forbearance of God; 26 To declare, I say, at this time his righteousness: that he might be just, and the justifier of him which believeth in Jesus” (Rom 3:21-26, emphasis mine). 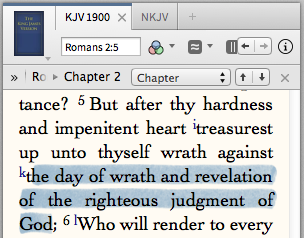 “Much more then, being now justified by his blood, we shall be saved from wrath through him. 10 For if, when we were enemies, we were reconciled to God by the death of his Son, much more, being reconciled, we shall be saved by his life” (Rom 5:9-10). “And you, that were sometime alienated and enemies in your mind by wicked works, yet now hath he reconciled 22 In the body of his flesh through death, to present you holy and unblameable and unreproveable in his sight:” (Col 1:21-22). 1 Martin H. Manser, Zondervan Dictionary of Bible Themes. The Accessible and Comprehensive Tool for Topical Studies (Grand Rapids, MI: ZondervanPublishingHouse, 1999). Next Next post: What does it mean to be “justified” before God?